I know we are all trying to minimize the amount of time we spend online but I have to tell you one of my favorite new websites. It is called Keep. 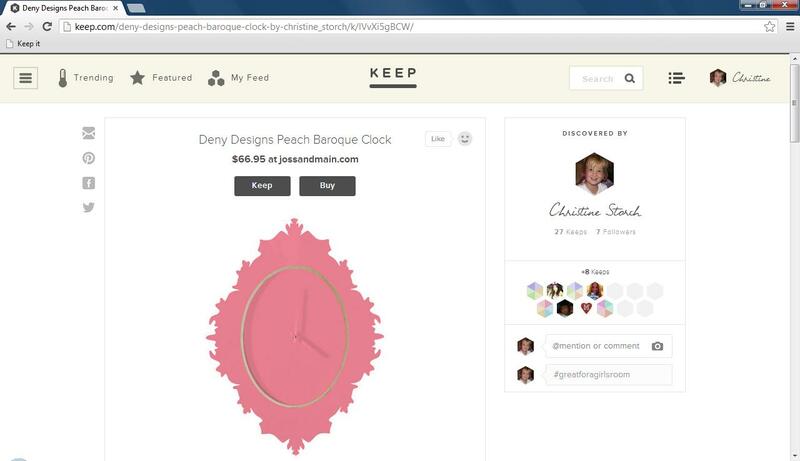 Keep is labeled as a place you can go to see the latest trends in fashion, decor, accessories, and design. 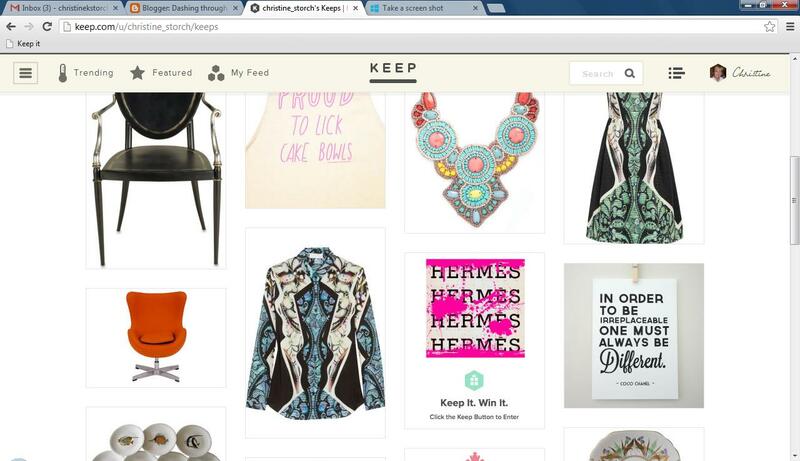 Similar to Pinterest, Keep is highly addictive. Everything seems fresh and new. I have been Keeping items and here is a glance at my current keeps. What is interesting and the reason I like it is there are tons of great items from Etsy, high fashion, thanks to Net-A-Porter taking an active stance in this platform, and also I’m able to focus on just a few things. I think it would be perfect for a nusery. This is the perfect example for something I had seen, but I didn’t know where to get if from! Now I know, and they will definitely be Christmas gifts for some one! 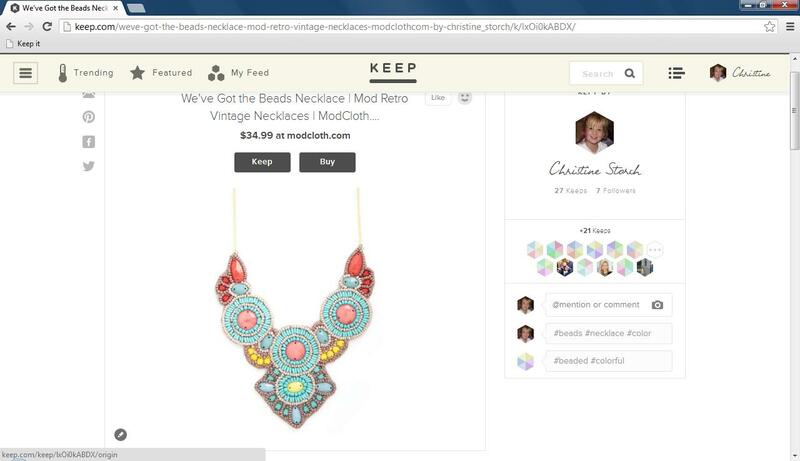 I love this necklace, for $34.99 it is the right price as well. 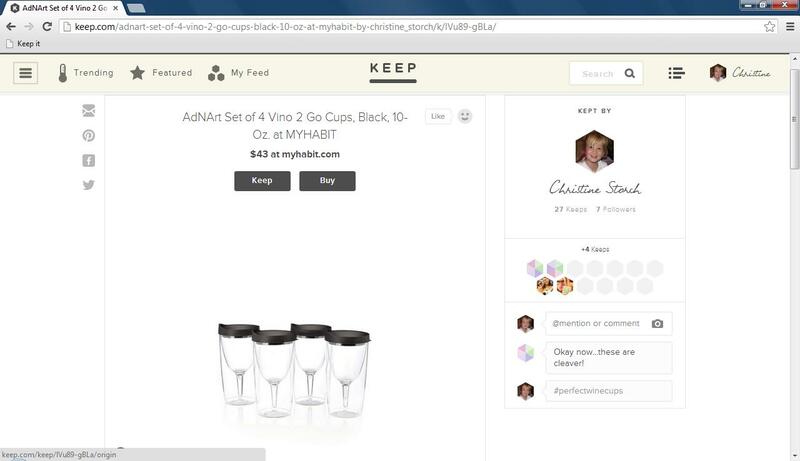 What is so cool about Keep is it automatically tells you were to buy the item you “keep” there is no guessing or bad links. So easy, to organize and shop quickly!